Today’s video is cheesy and lame, but maybe that’s because I’m a young-ish gaijin know-nothing. 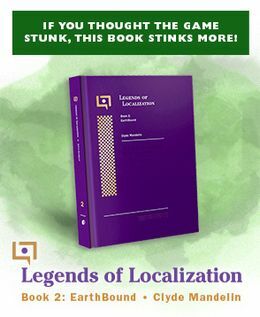 But the video is also noteworthy because it’s related to MOTHER 3 and the MOTHER 3 translation. First, the video, which is of a song called “Wanted”. I believe it came out in 1977 or so, I don’t know. Japanese 70s and 80s stuff is always so strange. We have our own 70s and 80s culture and stuff, but they have completely different bands, trends, famous stuff, etc. So it’s like having to re-learn decades all over sometimes. Anyway, there’s a reference to this song in MOTHER 3. 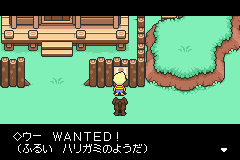 There’s a wanted poster you can read, and because the name of the song is “Wanted”, a little reference is included in the wanted poster text, and then it says something like, “It appears to be a rather old poster” or the like. – It appears to be an old concert poster put up by someone. Of course it’s funny that I say that, when I was the translator for FUNimation’s Shin-chan episodes on Adult Swim, heh. Anyway, watch the video and bask in the cheesy Japanese 70s cheesiness! Uhm… Did Mato post this one? Yeah, this was before EB Central was made, actually. Well, it’s probably good to say so in the comments at least, for future visitors. I usually can’t do much if a video gets taken down, but I feel like the posts and comments might be worth keeping up, so I probably won’t delete the posts when it happens.